I love it when I find a quick hack that makes planning a Disney World vacation so much easier. 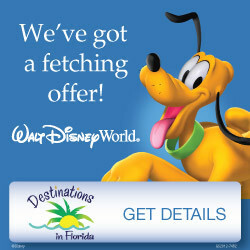 That’s why I am thrilled to share this easy way to check availability AND see the lowest prices at Disney World resorts! It works on mobile devices ONLY – it won’t work on your computer, unfortunately. This is for room-only reservations only – not packages with tickets or dining. You can’t add a dining plan to reservations booked with third party sites (like Orbitz, Expedia, etc.). If you want a package you can get free a quote here. In your mobile browser, do a search for the resort hotel you want to check on. Make sure it is just the name of the hotel with nothing after it. The first result will almost always be the Google page for the hotel (see the image above). If it isn’t, scroll down until you see it. Next, tap on “Prices” in the main menu on the Google page. Next, tap on the date under “Check in” to change it. This will cause a calendar to drop down. On this calendar, you will be able to see which nights are totally booked (just a blank space under the date), which nights are available to be booked somewhere, and the best price available for each night! This makes planning your stay SO MUCH easier – I used to have to search for dates on multiple sites to check if there was even any availability at a Disney World resort. So if you know where you want to stay, it is now much easier to see what’s available. When you do decide to look into a date (or range of dates, of course), you can select your dates on the calendar and you will see the different sites on which you can book your stay, in order from lowest to highest. In the case of my sample search, the results showed Priceline had the cheapest rate. However, you can likely get an even lower price if there is availability on Orbitz by applying a promo code to your reservation. The search results will NOT include the price with any promo codes – it’s up to you to apply those! In my sample night above, I went to book the night through Orbitz and applied the current promo code (get the current Orbitz promo codes here) to save an additional 10%. I have a whole post about how to book Disney resorts on Orbitz and save more with promo codes which walks you through how to add your reservation to My Disney Experience and get all of the Disney World resort benefits. I hope you found this quick hack helpful for planning your Disney World vacation! If you did, could you take a second to share it on Facebook here? It will help others plan their trip and get to Disney World on any budget. Disney World Free Dining 2019 Released Today! Thanks Leah! 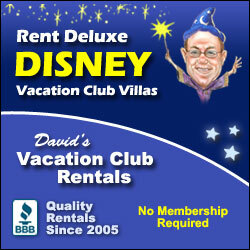 Yet another way to save money on a trip to Disney World! I am considering a trip in May to visit Flower and Garden, and I will definitely use this hack to help plan! Yay Laura! It’s so fun to be able to see availability so quickly like this! 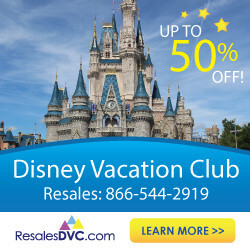 How To Use Orbitz To Save Up To 50% On Disney World Hotels!